Fisherman thought he would remove another creature from the interior of the fish, but ended up removing a residue from the pollution of the oceans. The image shows a worrying situation about marine pollution: a monk fish was found with a plastic bottle of 500 milliliters housed entirely in his stomach. The species has wide mouth and distensible stomach, which means that it can swallow different items. Because of this, ingestion of any inorganic object puts the species of fish in danger. 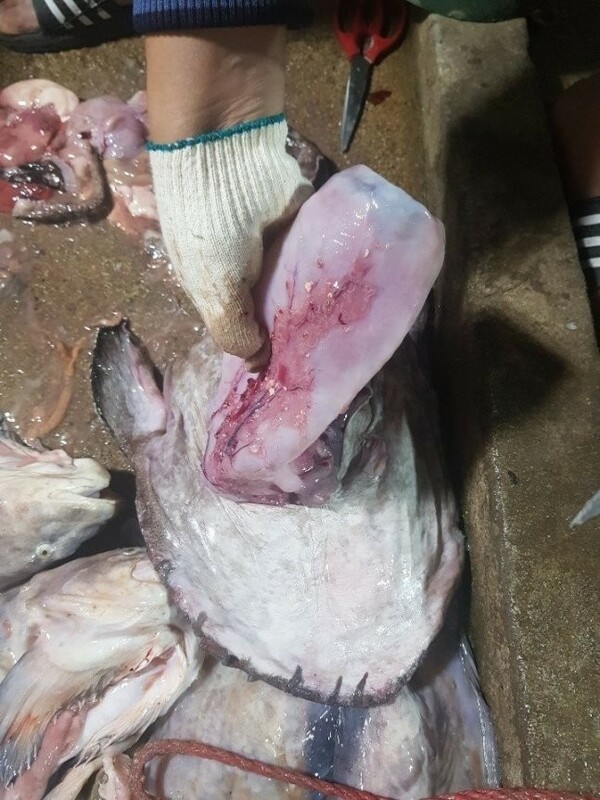 According to the environmental organization Jeonbuk Environmental Movement Coalition, the photograph was taken by a group of fishermen after catching fish near Buan-Gun in northern Jeolla, South Korea. “This is proof that the problem of marine litter is serious in Korea. In particular, the waters in Buan are so strong that garbage comes from all over the country and from China,” said Lee In-gyu, a member of the North Jeolla Environment Association. It is not uncommon to find whole squid in the organism of a monk fish, for example. When the fisherman Hwan caught the fish, he noticed a bulge and decided to open the animal, hoping to find a whole creature. But that’s not what happened. The problem of pollution is not limited to the fact that marine animals swallow objects from plastics or other materials. Studies have shown that microplastic particles, less than 5 millimeters in length, can become embedded in the tissue of animals by ingestion or breathing, making it difficult to survive. And as many fish are food for other larger sea creatures, the microplastic ingestion cycle is not disrupted. Could This Possibly Be The Smallest Container Ship in The World?